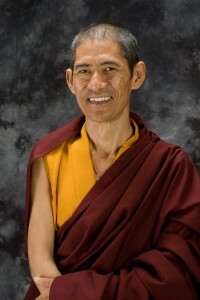 Lama Pema represents the next generation of the Tibetan diaspora, educated by traditional Tibetan masters, but fully acclimated to western culture. He illustrates points of philosophy with current movies or ancient stories with equal ease. He has a great sense of humor too. Many traditional teachings are presented in simple phrases, called “pith instructions,” that are easy grasp with the intellect, but not so easy to grasp in depth. For instance, we all understand the truth that “everything changes,” but it takes reflection to real-ize in the gut what that means in personal terms. Because of this election season, some of Lama Pema’s comments ventured into the realm of politics. He threw out some of his own deceptively simple concepts, which I’m still pondering and want to pass on. One of his constant themes is individual responsibility, moment by moment, in trying to create the kind of world we want to live in. “The peace of the world hinges on you and me,” he said. I jotted down some of his other comments. Deceptively simple ideas. The kind it’s easy to jot down in a notebook and forget about a day or two later. One classic exercise with this kind of teaching is to take one of these points and focus on it for a day or a week or longer. Mull it over, bring it to mind when we wake, while walking in from the parking lot, while waiting at red lights. “What do I believe in, what do I need to stand up for?” for instance. As if to underscore the idea, Lama Pema gave the example of Gandhi. Even though we know it happened, it’s hard to believe one skinny little man could push the British out of India. The core of all his action was knowing what he believed in, what he stood for, with unswerving certainty. There was no suggestion that we are called to change the world in such a dramatic manner. The suggestion was that at every moment, our thoughts and actions always change the world, either for good or ill. The suggestion was to bring mindfulness to bear on our “simple” actions and see what kind of difference they can make. This entry was posted in Buddhism, Spirituality, Tibet and tagged Buddhism, spirituality, Tibet. Bookmark the permalink.